Saturday / 10 am – 1 pm (3301 W Canal St., Milwaukee). 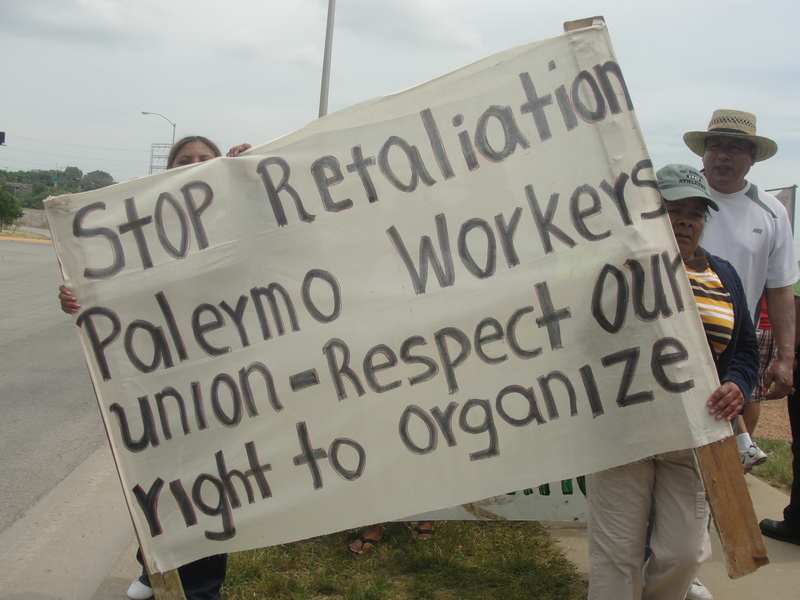 Palermo’s workers and supporters on the picket line June 11, 2012. Stop the Eviction of Mary Hensley! Call Midfirst Bank! 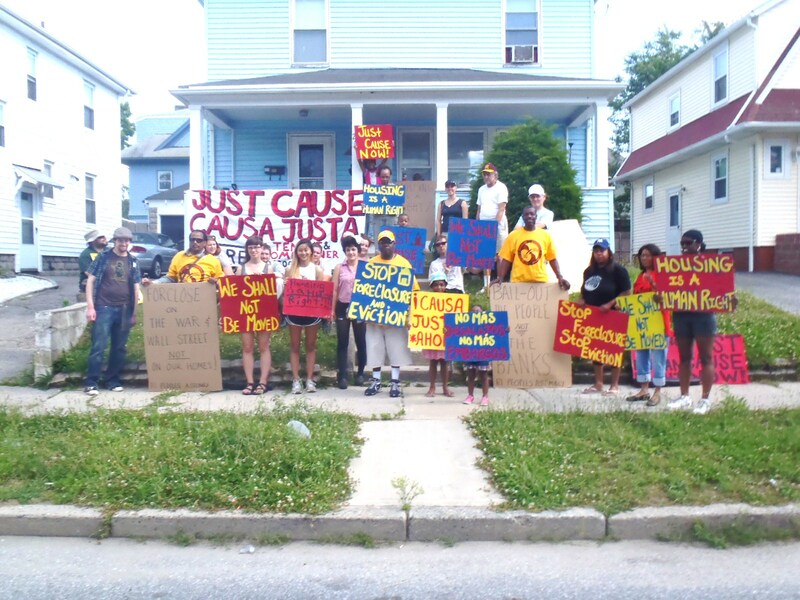 The Rhode Island Tenants and Homeowners Association & Rhode Island Peoples Assembly rallied at the home of Joann Manning on Thursday, 6/28 at 4:00 pm to protest her impending eviction. Joann’s family has been robbed of their home through foreclosure, but she wants her family to be able to stay in their home by paying rent. The bank owns the house and is trying to sell it for an obscene amount, so no one has purchased it. It will sit vacant if they get evicted. The bank is not working with the Manning family and is planning to evict them next week. Her eviction date is set for next week. This is a small window of opportunity to pressure the banks to allow this family to stay in their homes! It’s unacceptable that families are working hard to keep their homes and banks are kicking them to the curb. Housing is a human right! Calling Midfirst Bank – (Midland Mortgage is their mortgage division.) on Thursday. The contact we’ve been working with is Mary Hensley in the customer service department. Folks can reach her at: 1 (800) 654-4566 Ext. 1204. The demand for Joann at this point is for her to be allowed to stay in her home – 222 Vermont Avenue in Providence – and pay rent to the bank. Home defense at Hensley home in Providence, Rhode Island June 28, 2012. Saturday, June 30, 5920 Second Avenue, Detroit, 5 p.m. The United States, through the Pentagon, the C.I.A., the servile mass media, sanctions and the banks, along with its NATO allies and reactionary regimes in the Middle East, is waging war on the Syrian people. The goal is regime change. They care nothing about the people of Syria. They care nothing about “democracy.” They only want to make Syria a satellite of imperialism and to re-enslave the people of Syria. The murderous assault on Libya last year showed that the only ones who benefit from these imperialist regime changes are the big oil companies, the banks and Zionist Israel. The threats and attacks on Iran are also for the benefit of U.S. imperialism. 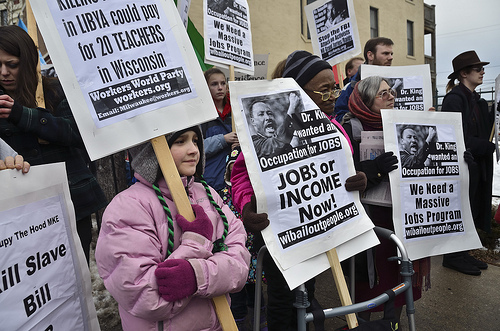 The progressive movement in the United States must stand up and say “NO!” to U.S.-NATO political, economic and military intervention against Syria. 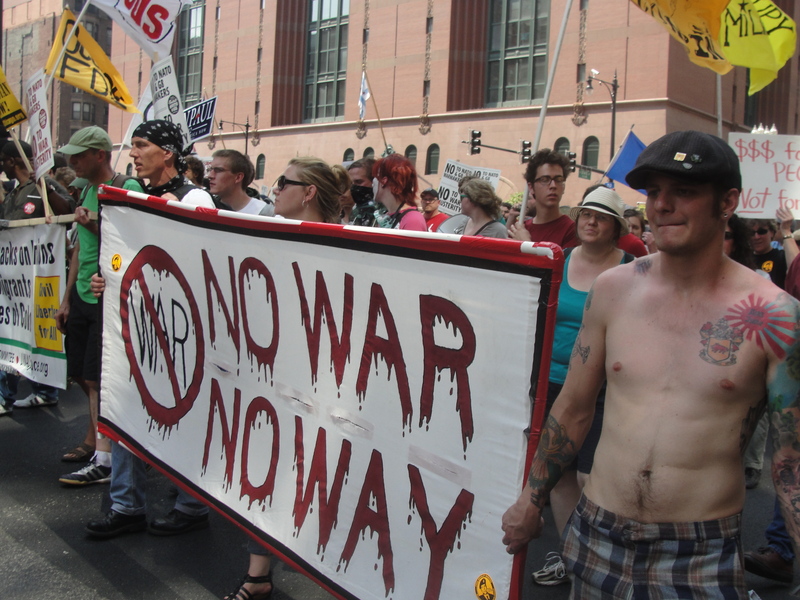 Occupy Fond du Lac delegation in the anti-NATO march in Chicago May 20, 2012. 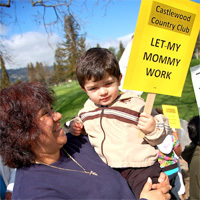 We are the workers of Castlewood Country Club – a playground for millionaires. On February 25th, 2010, they threw us out on the street because we wouldn’t give up affordable health insurance for our families. We’re fighting for health care for our children. 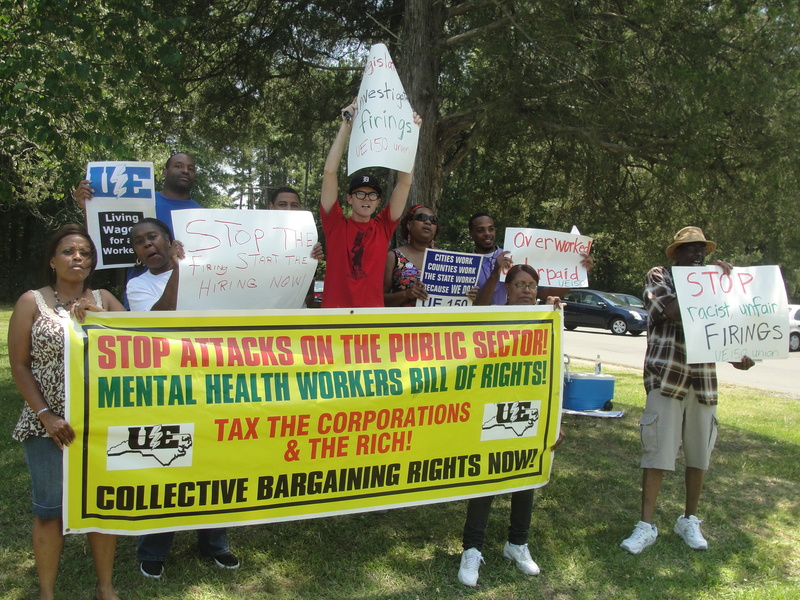 We’re fighting for work with dignity. 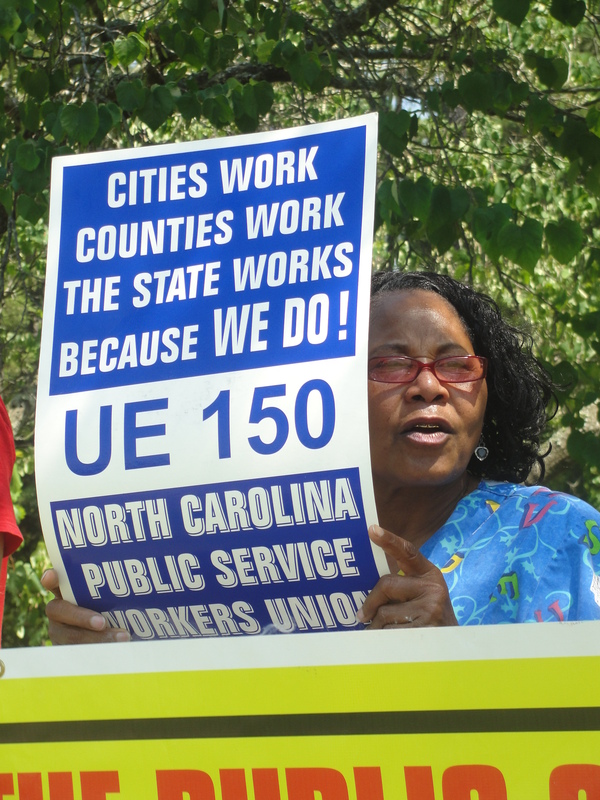 UE Local 150 members and supporters including WI Bail Out The People Movement organizer Bryan G. Pfeifer rally June 28 to oppose the unjust firing of six African American workers at the Murdoch Development Center in Butner, North Carolina. June 28 in Butner, North Carolina.